» LOOKING KIND LADY PARTNER FOR HAPPY,JOY MARRIAGE ! HI..IAM LOOKING LOVELY VIBRANT,KIND LADY PARTNER FOR HAPPY,JOY MARRIAGE LIFE..!! 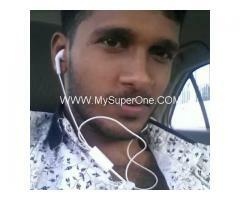 .iam nuwan 42 matured divorced,established person from battaramulla,doing business IN Colombo. iam a independent loving, carering, fun loving enjoyable, mannish, understanding, nature lover nice person . so..iam looking a lovely,pretty,good looking female lady ( Above 25 age ) for relationships Leeds to happy marriage life. till then take care...THANK U..